Paris Metro Tracks and Trackers: Why is the RATP App leaking my private data? the exact location: Scary… hmmm? 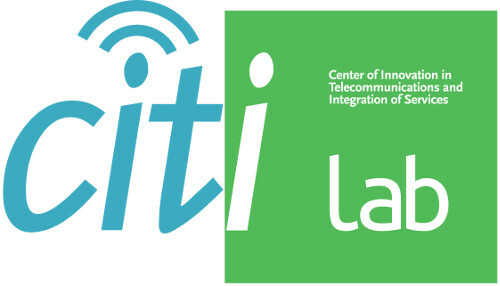 the SIM card’s carrier/operator name. This is certainly not acceptable in any case that the App is sending this data in cleartext (no matter to whom or for what matter the info is being sent!). To App developers: for God’s sake, please, don’t make easier the life of a user’s spy or anyone for that matter who can intercept the traffic (ISPs, WiFi AP Owners, Governments etc.). We don’t see any point not to use secure connections! Now the next question is: Where is this info sent? The answer is: to the 88.190.216.131 IP address. We now need to know which entity/organization this IP address belongs to, for instance to infer the reason why the info might be collected… Whois and other web services (like infosniper, DShield) reveal so-par-onl-vip01.sofialys.net as the hostname of the machine. Second levels domain sofialys points to sofialys as the company this machine belongs to. And finally, the icon almost confirms this as it’s the same on sofialys webpage [Courtesy to Vincent Maugé for his help in IP address analysis; updated July 4]! It is even more disturbing that RATP still keeps continuing these bad practices whereas it has already been highlighted in the past (later, our google search revealed that it’s already known). This is not acceptable. Then, in order to know if A&A libraries are being used by the App, we decompiled the App’s dex file executed by Dalvik Virtual Machine. We found two third-party packages: Adbox (with package name com.adbox) and HockeyApp (with package name net.hockeyapp). See screenshot listing class descriptors. Adbox is clearly a company that could be interested by these private data. A final comment: the RATP App asks for permission to access the user exact position and the user has no other choice than agreeing in order to install and use the App. This is acceptable for an application meant to facilitate the use of public transportation. However, even if the user grants this permission to the App, does it imply that the user also accepts this information be sent to a remote, unknown server, with no information of who will store and use this data, and to what purposes? Certainly not. The Android permission system cannot be interpreted as an informed end-user agreement for the collection and use of personal data by third-parties. Back to the RATP iOS App: does it leak something else? Let’s come back to the iOS world. Did we miss anything in Part 1 of this blog? Did the iOS App leak more private information than previously mentionned? The answer is Yes! 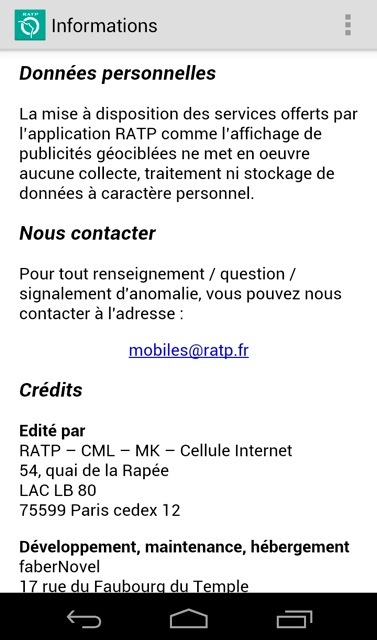 RATP’s iOS App also sends the same info (see below) as its Android App to the ip address 88.190.216.131 in cleartext. The machine corresponding to this ip address belongs to sofialys. 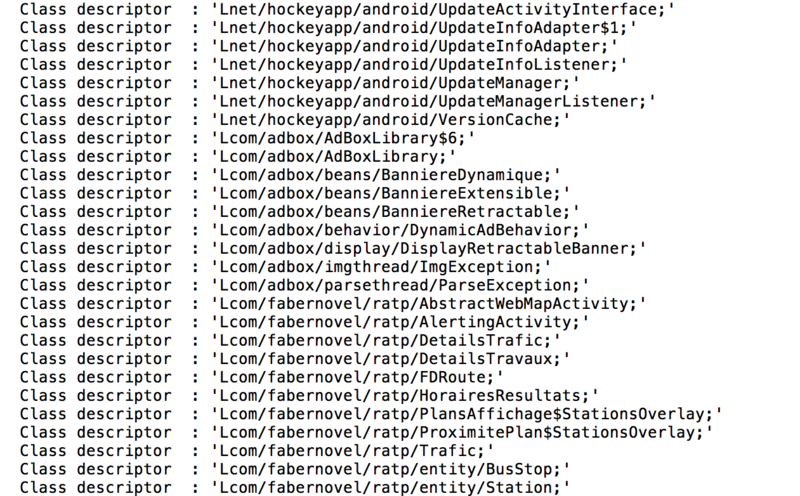 The Adbox library from sofialys is included in both Android and iOS versions of RATP App (See screenshot listing headers from Adbox library in RATP’s iPhone App). Here, the IMEI is replaced by the UDID (Unique Device Identifier) of the iPhone. Otherwise the precise geolocation of the user is also captured and sent, and all of this happens in addition to the private data sent to Adgoji as we mentioned in our first blog post. 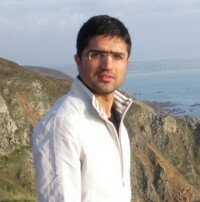 items are missing (for example, Device Name, Internet usage) and techniques exist to bypass some of the limitations imposed (for example WRT the Advertising ID restrictions). Fortunately, the access to the MAC address seems to be banned from the new iOS7 version, but what about the rest? …and probably without the App developer knowledge. The A&A libraries are often included by App developers without knowing their exact behavior. And if App developers get money by including these libraries in their App without being afraid of privacy-enforcement authorities (for example, if there is little or no risk of legal action), they probably won’t care too much whether these added libraries respect the user’s privacy or not. You might also be interested in Paris Metro Tracks and Trackers: Why is the RATP App leaking my private data? – SDK Sofialys (the adserving company for our online advertising sales service) sends information to the Adgoji server, the Fly Targeting system that provides contextual information about the public based on the applications installed on the terminal. Information recovered by SDK is processed for analysis, but does not make it possible under any circumstances to identify the data user. 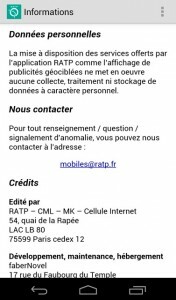 – No data collected by Adgoji concerning users of the RATP app have been used. The Fly Targeting module was under study in Sofialys, which mistakenly implemented it in its SDK in “production” phases. 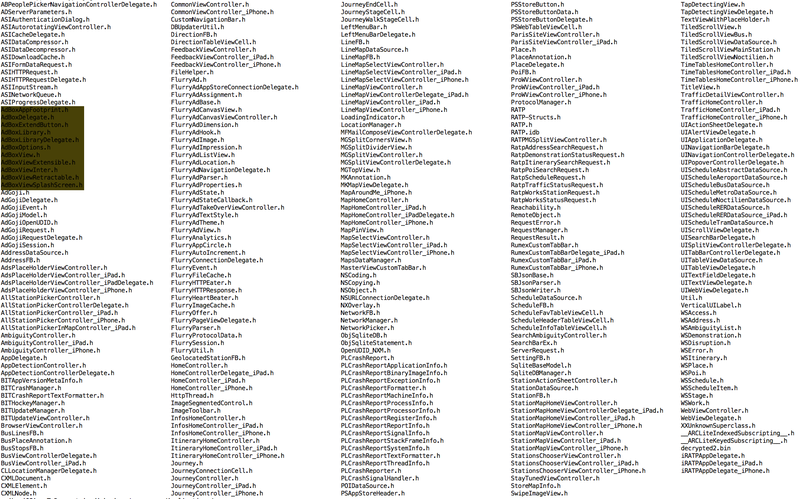 We are currently removing it from SDK. Furthermore, we confirm that no personal data are used. In accordance with Apple directives, the UDID stopped being used last year. As for the IMEI: although the ID is already hashed, we are requesting a higher level of encryption for the next revision of SDK.